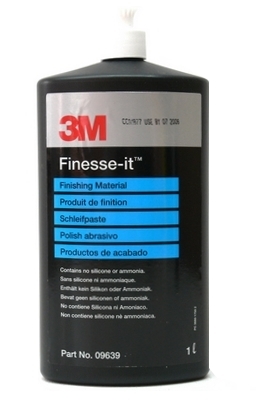 3M Finesse it Finishing Material 09639 is a fast acting compounding paste effective in correcting minor defects and small areas of orange peel. Supplied as 1 litre bottle with flip-top pourer to save wastage. Silicone and ammonia free.